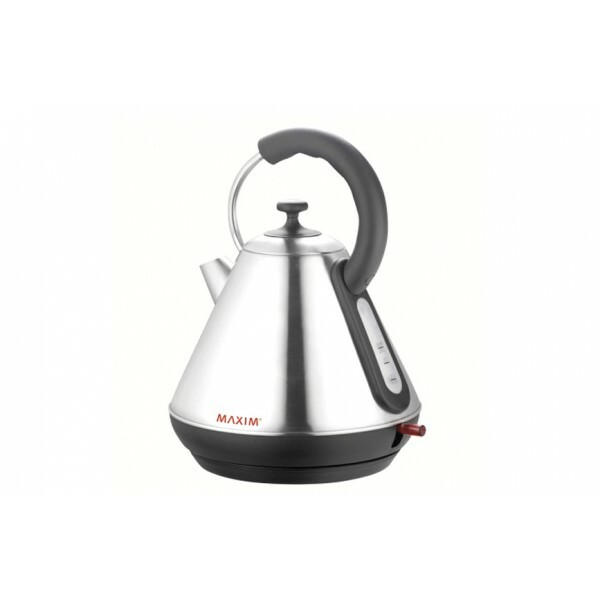 The Maxim 1.8L Stainless Steel Dome Kettle is a feature packed and stylish addition to your kitchen. The fashionable 'pyramid' design and quick boil element will ensure that your water is boiling in no time at all. Quick boil 2200w concealed element. 360 deg cordless base station. Auto cut-off when water boils.